Members of the Peace Valley Snow Riders out on the club’s 200 km of groomed snowmobiling trails. Peace Valley Snow Riders held its first meeting in late 2009 and the club earned society status under the Alberta Societies Act in July 2010. In the almost ten years since it was first established, Peace Valley has grown to over 100 members and offers approximately 200km of groomed trails on it Baytex – Wesley Creek Trail, Osmond – Leddy Lake Trail, Smiths Mills and Hines Creek Trail. 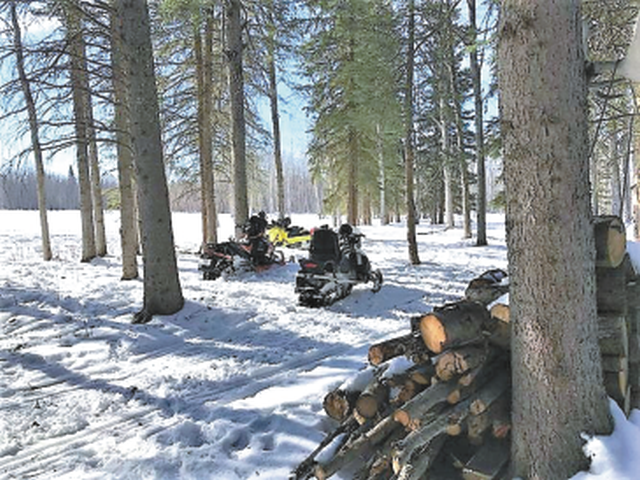 One of the key objectives of the Peace Valley club is to promote responsible snowmobiling in the region and to continue to develop a network of trails on the east and west sides of the Peace River. 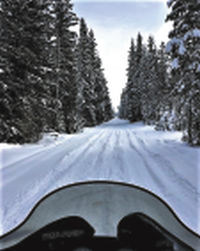 Responsible snowmobiling suggest safety first, but the club also encourages responsibility regarding the environment and is mindful of leaving as minimal a footprint as possible. Peace Valley uses existing right-of-ways from power lines, pipelines and old roads. The club also does its due diligence in receiving permission from the proper authorities when developing a trail. 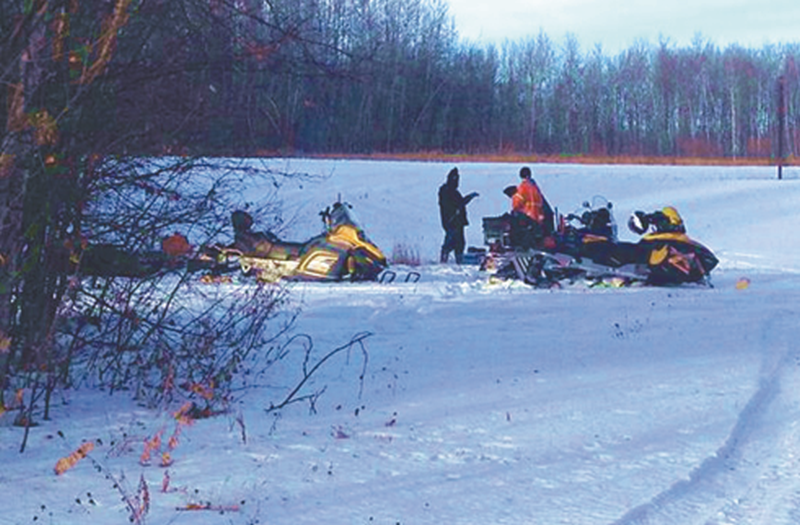 To return to the subject of safe snowmobiling, the club is vigilant in keeping the trails groomed and hazard free. It is important to mention, that Francois Allard won the ASA Groomer of the Year Award in 2018. At roughly the halfway point on each of the trails, the club created rest stations with a fire pit, firewood, picnic tables, wiener sticks and a porta potty. Because Peace Valley club is a member of ASA riders, a Peace Valley pass is good on all ASA trails in the province. A Peace Valley membership also provides ASA liability coverage. 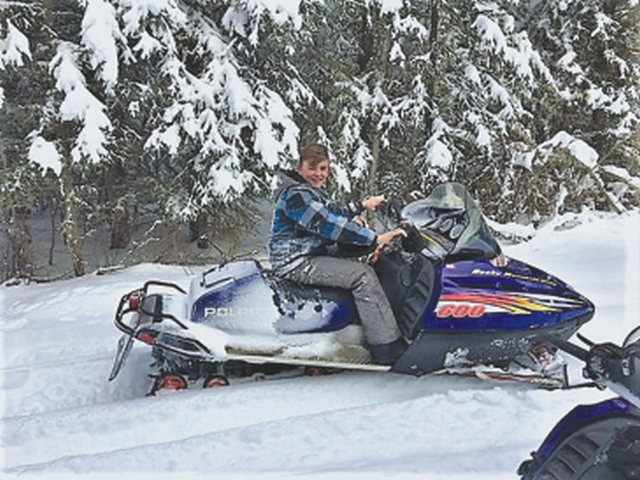 An upcoming event is the “Family Run” happens on February 2, on the Osmond – Leddy Lake Trail and on the Sunday of the Family Day weekend, February 17 is the club’s poker rally on Baytex – Wesley Creek Trail. For more information on Peace Valley Snow Riders club visit www.peacevalleysnowriders.com, or send an email to fallard@outlook.com or call (780) 618-7773.